Founded in 1996 by William L. Cotter, the Momence Honor Guard has provided military rites at hundreds of funerals of military veterans. The group is composed exclusively of Momence High School honor roll students who are direct descendants of veterans. A typical funeral rite involves a three volley rifle salute, the playing of taps and the folding and presenting the American flag to the family. The Momence Honor Guard is a 501c3 charity organization that operates solely on donations. Since 1996, over 200 Momence High School students have had the opportunity to be a part of this elite group. 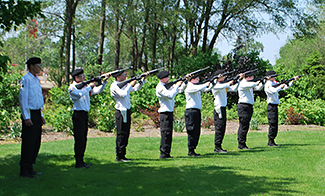 In 2006, the Momence Honor Guard was featured in the July edition of the American Funeral Director magazine. On September 3, 2007 the guard presented the colors for Milt Pappas Day at Wrigley Field. 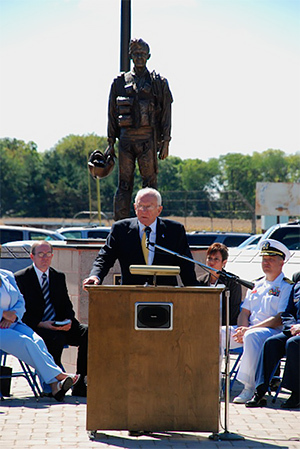 The Momence Honor Guard was also involved in the dedication of the Kasler Veterans Memorial Park in Momence in September of 2007. 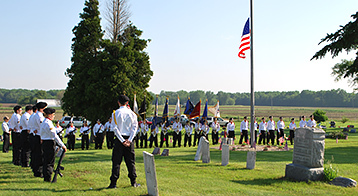 Every year the honor guard provides nine services on Memorial Day at local cemeteries, the local nursing home and several community parks. Since 1996, the Momence Honor Guard has led every parade for the Momence Gladiolus Festival on the second weekend of August. 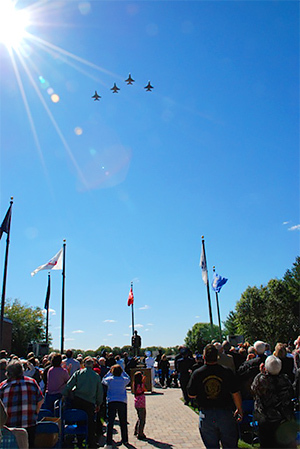 This group has presented the colors for government officials, National Funeral Directors Association, National Rural Mail Carriers Association and local school and civic organizations. Purchase qualifying items on Amazon.com and they will donate to our organization on your behalf if you use the link below to make the purchases. Please consider donating to continue our efforts honoring those who have served. Spread the word by sharing these links with others.